Ziplines and planes are among the new features you can expect to see on Fortnite’s Season 7 from Thursday, as the popular survival game unveils its wintry theme ahead of Christmas. Frosty Flights and Polar Peak are among the new locations on a iceberg-hit part of the island, bringing with them ziplines that allow players to latch on and zip from one area to another. 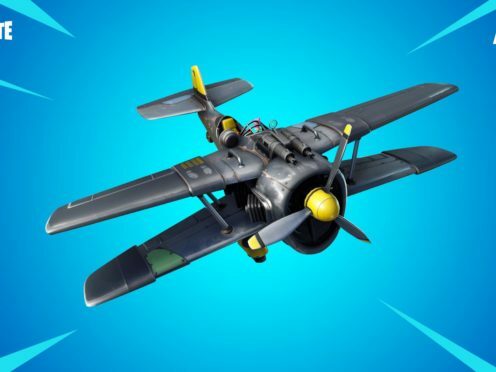 The most notable new item to arrive on Fortnite is an X-4 Stormwing plane, allowing players to take to the skies with up to one other player. Existing weapons and vehicles receive some festive cheer with Wraps, which allow gamers to change the look of their items. Season 7 also heralds the introduction of a brand new mode, Creative, where people can build their own island. Battle Pass owners will have early access to Creative first, before everyone can have a go from December 13 onwards. Fortnite’s latest season is being extended by two weeks, meaning the winter theme will end on February 28, although makers Epic Games have promised there will be plenty of new updates, items and challenges along the way.